Venthayam has abundance of chlorophyll, protein and iron in its leaves, which helps to gain strength and increase blood count. Venthayam is basic by nature which reduces acidity of blood and controls it. Generally venthayam is very well known as pain reliever, especially reliever of arthritic pains, rheumatic pains and joint pains, but it has many more qualities and powers to heal many diseases such as fever, vomiting, cough, gout, piles, low blood pressure etc. No wonder there are execelent home remedies using venthayam seeds in the Siddha system of medicine. Several experts from different universities of the world have come up with amazing facts and benefits of fenugreek as a natural solution for diabetes. The studies evidently establish how eating this ingredient effect both type 1 and type 2 diabetes. Consuming fenugreek regularly not only reduces the blood sugar level successfully but also improves the glucose tolerance of the body. Another research came up with a report that adding up of 15 gm powder fenugreek into a meal of a type 2 diabetic patient effectively reduced the increase of post-meal glucose level. Thus, it established that regular intake of fenugreek can be truly helpful and effective for the diabetes patients. On the other hand, people who have history of diabetes in family, or whose diabetes level is in borderline should also eat fenugreek adequately. Do you feel that you are not as strong as before on bed? You might not have enough free testosterone. A person's bloodstream contains two types of testosterone: bonded testosterone and free testosterone. testosterone can enter your cells easily and plays a vital role in libido, strength, stamina, and vitality—all of which are important to men. - Fenugreek stops diarrhea, cures bad breath, soothes itching, cools the eyes, arrests hair fall, cures inflammation, cures cough, cures ulcers… the list goes on. - Fenugreek is used as a digestive aid. Nursing mothers use fenugreek remedies to increase inadequate breast milk supply. Some studies have shown that fenugreek is a stimulator of breast milk production and it can increase milk production three to four times. - It is also helpful for treating diabetes and lowering cholesterol as it helps in reducing blood sugar levels. - Fenugreek also helps in maintaining a good metabolism and prevents constipation. - It purifies blood and helps in flushing out the harmful toxins. - The simple home remedy to reduce blood pressure is Venthayam seeds. Fenugreek is long known in India to boost libido and sexual performance. It is a natural testosterone booster for men. - Fenugreek consumption helps bolster iron levels in pregnant women. - Since fenugreek contains a substance called diogenin which is a compound that has properties similar to estrogen, it has been found to help increase libido. It is found to increase libido and male potency. - Fenugreek is also known from ancient days for its treatment of reproductive disorders. It has been used to induce labor, to treat hormonal disorders, to help with breast enlargement, and to reduce menstrual pain. - Fenugreek relieves hyper acidity and burning sensation in the stomach. Just chew some seeds with a little amount of cumin and you will feel the relief immediately. Fenugreek is rich in fiber content and is very good for solving stomach disorders. 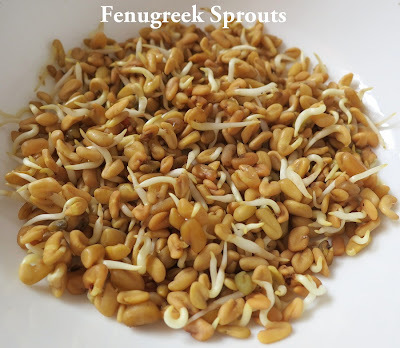 - Fenugreek serves as a natural cosmetic. It prevents dandruff and strengthens hair. Application of fenugreek powder has been established as a remedy for preventing hair loss. This application on the hair makes it shiny and black. Take a spoonful of the fenugreek / powder with a tumler of warm water in the morning an hour before breakfast. Adapt the same procedure in the afternoon and night. Venthayam and other natural siddha herbal powder are available at IKS Academy Centre in Kuala Lumpur, Malaysia. Hello , we have telepathy what i was thinking ! I love these articles.I salute the sidhas who found such medicines.